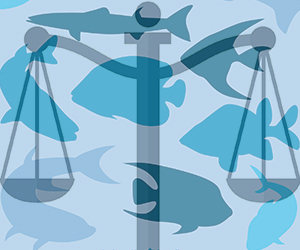 The High Court has largely upheld a 2016 Environment Court decision which confirmed that regional councils are able to exercise their functions to control the effects of fishing on the environment for Resource Management Act purposes. The Environment Court decision granted a declaration sought by the Motiti Rohe Moana Trust that s 30(2) RMA does not preclude councils controlling fishing to protect indigenous biodiversity, or to maintain the relationship of Maori with water and taonga species. The Attorney General appealed. The appeal was joined by a broad spectrum of interested parties including three regional councils, the New Zealand Maori Council, Forest & Bird and fishing industry representatives. That fishing and fisheries resources are controlled under the Fisheries Act to provide for the sustainable utilisation of those resources, but that the Fisheries Act does not purport to address, let alone control, all the effects of fishing on the wider environment (including people and communities) (at ). While the sustainable utilisation of fisheries resources now and in the future is a Fisheries Act matter, regional councils remain tasked with the management of the effects or externalities of fishing on the wider environment as defined by the RMA (at -). The “distinct legislative object” of maintaining indigenous biodiversity specified in s 30(1)(ga) is not clearly secured under the Fisheries Act. There is no “duty” to maintain indigenous biodiversity under the Fisheries Act. By contrast the RMA has made express provision for the maintenance of indigenous biodiversity as a core function of regional councils (at ). Section 30(2) does not exclude the performance by Councils of their statutory function to maintain indigenous biodiversity (at ). Regional Councils may not exercise their functions in 30(1)(d) to manage the utilisation of fisheries resources or the effects of fishing on the biological sustainability of the aquatic environment as a resource for fishing needs, but they can exercise those functions to manage the effects of fishing that are not directly related to those matters (at -). The Court was not minded to make a formal declaration but reserved leave to the parties to comment on the form that a declaration might take, and set out a draft declaration at . The parties were discouraged from seeking costs given the matter was of significant public interest.